The Deck Retreat is located 10 minutes from The Lodge of Dundee. Located only 1.5 hours drive from Darwin City, The Deck Retreat, Dundee Beach, provides quality short-term holiday accommodation. 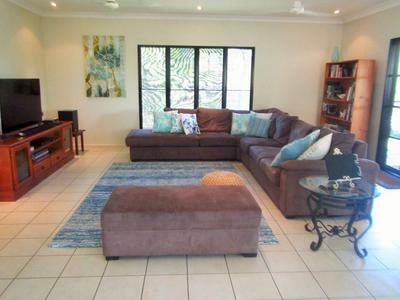 This beautiful spacious home has 3 airconditioned bedrooms, comfortably sleeping up to 10 guests. There are 2 bathrooms plus a 3rd toilet and full laundry facilities. 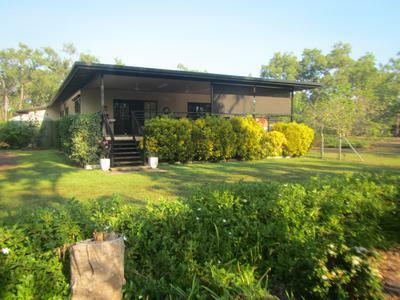 The large living areas are cool, comfortable and inviting but it is the large deck overlooking lovely gardens, the bush and an above ground pool that makes this place somewhere you can really unwind. The pool is fully shaded and fenced to Australian Standards. All bedroom and bathroom linen is provided as part of the accommodation. All you need to do is take your food, drinks and clothing and you will be set for a wonderful get away. 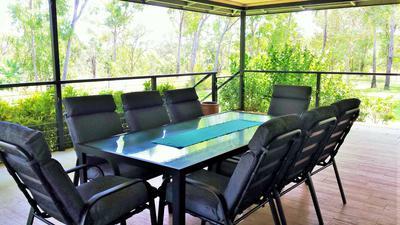 The Deck Retreat is family friendly with outdoor games, indoor games, books and DVDs available. The Deck Retreat is set on 20 acres. The area immediately around the home is fenced and The Deck Retreat is also pet friendly so please enquire if it is suitable for your pet/s to stay. You can view full facilities, check availability, ask us a question and book online at www.thedeckretreat.com, or visit our Facebook page!